This delightful little bird hook will safely hold your coats, bags or keys. 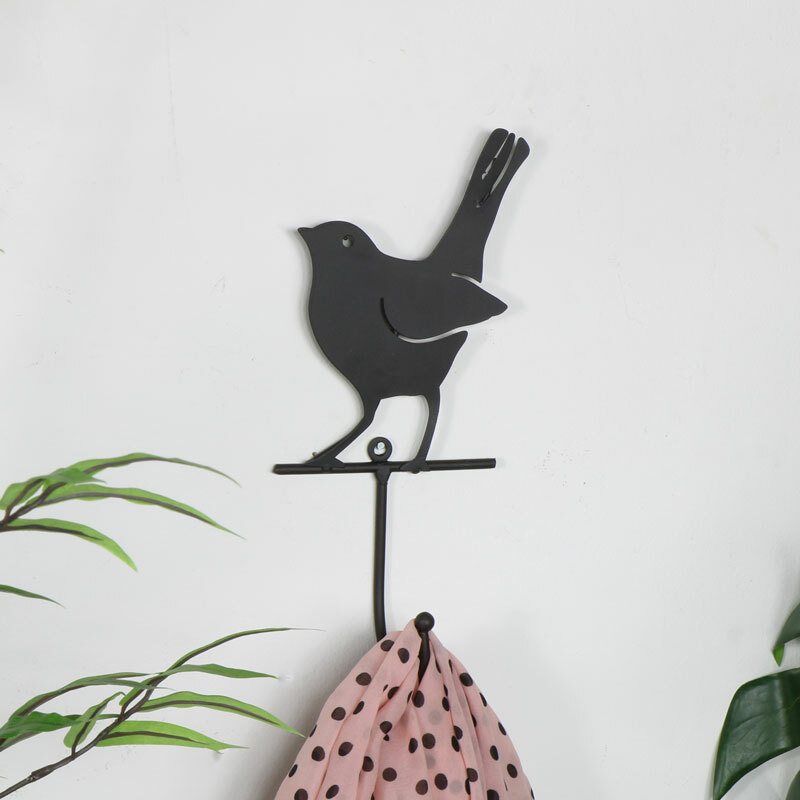 Single hook with blackbird detailing for a charming addition to your bathroom, kitchen or hallway. Single style hook in a sturdy metal wall mounted design. The birde adds a pretty feature and will look great placed on the wall. Just what you need for hanging coats, jackets, bags or scarves on. We have a great choice of wall hooks in single and multi hook designs, perfect for every style of decor. This delightful little bird hook will safely hold your coats, bags or keys. 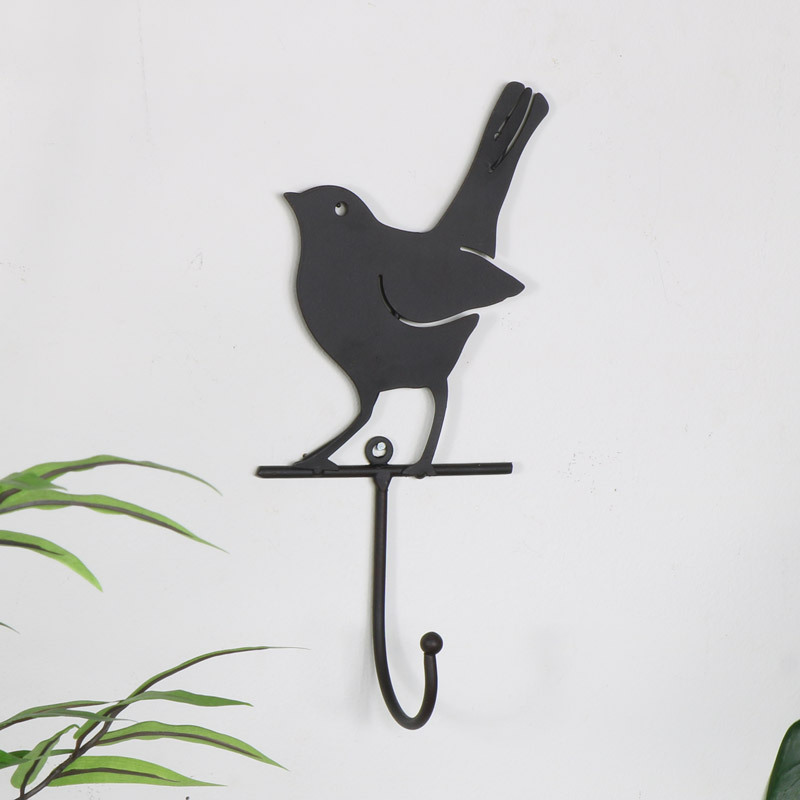 Single hook with blackbird detailing for a charming addition to your bathroom, kitchen or hallway. Single style hook in a sturdy metal wall mounted design. The birde adds a pretty feature and will look great placed on the wall. Just what you need for hanging coats, jackets, bags or scarves on. We have a great choice of wall hooks in single and multi hook designs, perfect for every style of decor. Made from metal in a black painted finish. Easily wall mounted with hole for affixing to the wall with a screw.